As is our tradition, we will not have a meeting in November; rather, we’ll be holding our annual holiday party. This year’s party will be Monday, November 19th, 6:30 p.m. at the Ballwin Golf Club, 333 Holloway Rd, Ballwin MO. Cost is $18.50 per person. Payment must be received no later than November 3rd. Social hour will begin at 6:30 p.m. followed by dinner at 7 p.m. and a railroad presentation after dinner. Hope to see you there! This event is open to NMRA and family members ONLY. If you’d like to attend send your check or money order to Richard Velten, 566 Golfwood Dr, Ballwin, MO 63021 no later than November 3. 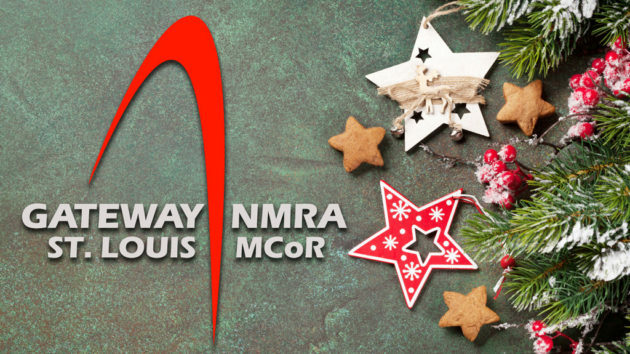 You may also pay Rich at the Gateway NMRA Train Show on November 3rd.